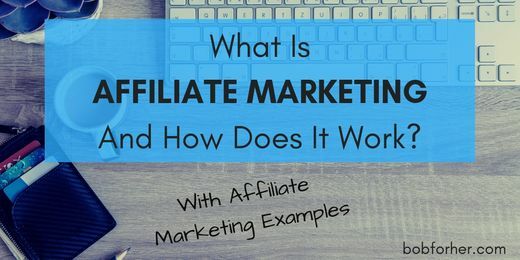 I get asked a lot of questions since Affiliate Marketing became my primary source of income. 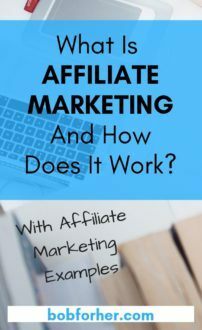 So in this post, we are going to look at what Affiliate marketing is, and I will even give you some examples of what affiliate marketing looks like in the real world. I’m also going to provide you with an affiliate marketing companies that you may like to work with if you are interested in affiliate marketing! Have you ever told someone about a product you’ve used? Recommended a specific brand of electronic or even suggested a restaurant to someone? Sure you have! You probably share thing you enjoy on social media with your friends and family all the time! “-Did you see the new Grinch movie? I might go see it next weekend. 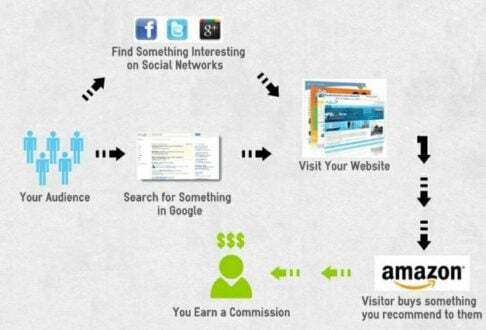 Affiliate marketing is the same thing that you do all the time, you make a recommendation. Only this time not only to your friends and family, but a wider audience and the remarkable thing is that you get paid for it. The beauty is your not direct selling, depending on your family to buy something; you’re helping people on the web buy a product they are searching for! You decide to set up a website about hair curling. 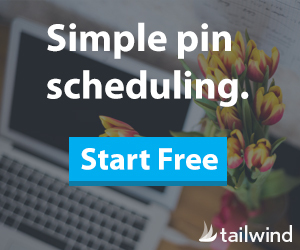 You share advice and ideas, you even review your favorite tools and Curling irons to use. You build a useful blog for people interested in hairstyles mainly using a curling iron. “Jill,” is gearing up for the summer, she goes online searching for “the best Curling iron.” She needs a new Curling iron and is looking for ideas, opinions, and reviews online. When Jill types in “the best Curling iron” into Google one of your posts that you have written reviewing the Curling iron that you use pop up. Since you used an appealing headline, Jill clicks on your post title in Google, and that takes her to your site. Jill reads through the “best Curling iron” review and really like the Curling iron that you recommend. In fact, you did such a great job explaining the pros and cons of this Curling iron that Jill is ready to place an order. So Jill, clicks your affiliate link, that you have added to your review and that takes her to Amazon. Since Amazon is a safe place to purchase and Jill does it all the time, she feels comfortable and secure shopping and buying the Curling iron from them. The Curling iron is actually a Simple Curling iron, but they teamed up with Amazon and offer their products not only on their website but on Amazon as well. Now Jill needs a few other things and places a total order of 5 items including the Simple Curling iron. Here’s the significant part. Since you sent Jill to Amazon through your affiliate link, you will earn a commission on not only the Simple Curling iron but on all 5 items purchased by Jill. The Amazon commission is based on different categories. If the Curling iron is registered under the “Health and Beauty” category, you will earn 8% commission. If it’s under “Other,” you’ll earn 5.5%. Everyone wins. 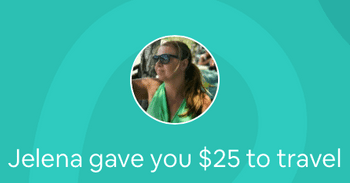 Jill gets his Curling iron, paying what she usually would, no extra cost for her using your affiliate link. 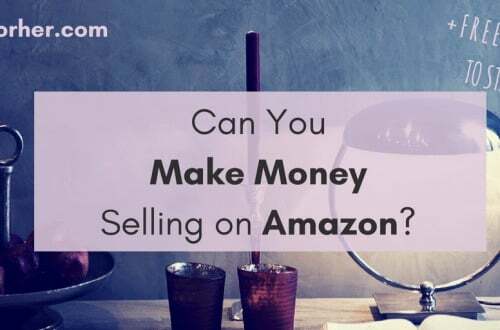 You as an affiliate earn a commission for sending Jill to Amazon. Amazon sells a Curling iron that they might not have sold if it wasn’t for you. Amazon is one of the biggest online retailers all sorts of products in hundreds of categories. For many reasons Amazon is a great company to work with, but other companies other affiliate programs too. You can become a member of these affiliate networks, one of these is ShareASale. This network has a variety of companies that you can promote. Some individual companies have their affiliate programs, you go directly to their website to become an affiliate. Wealthy Affiliate is an excellent example of a company like this. For affiliate marketing to work, it’s essential to choose a brand that is really relevant to your blogs, websites, articles, etc. If you have a site about Hair Curling, then you could talk about styles, Curling irons, other tools, and products related to that. The more focused your site is, the more relevant your traffic and visitors will be. A great way to find companies to link to that are relevant to your site go to google.com and do a search, type in your “niche + affiliate,” you should get several companies. If you have a product you love, go straight to the brand and see if they have an affiliate program. Niche means the topic of your blog. 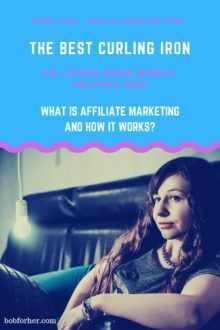 So affiliate marketing sounds fantastic, but do people really make money? Yes, you can make money with Affiliate Marketing! 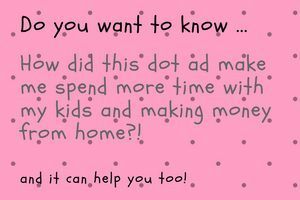 This is not a get-rich-quick scheme, this does take work on your part! Have patience — great businesses take time to grow. Continues growth — you need to learn the basics and from there. The best place I have found to grow is here. I have been developing with them for three years. To do affiliate marketing successful, I would say yes you do need a blog or website. This becomes your place where you are in 100% control, this is where you build your business, something that can not only create an income but it can be an asset to sell down the road. 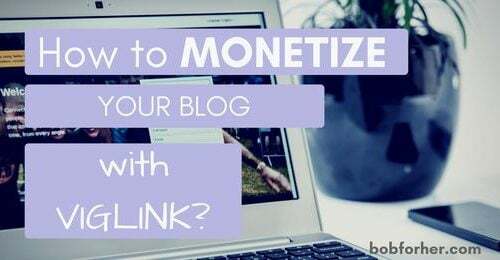 Personally, I think you do need a website and/or blog to be successful with affiliate marketing. This way you have control of your content. What’s the Best Affiliate Marketing Course to Get Started with? So you’re new to Affiliate marketing, you need a right course to get you started. No, I didn’t create this program, but I do recommend it! It has excellent marketing training, and the starter membership is FREE! You can read my review of the program here! With this site, I learned step by step to set up a successful website. It has an online community to talk to other affiliate marketers just like yourself! It has over 800,000 members! Join the community and me here. If you have questions, I would love to answer them in the comments below! What Is Viglink.Com? Will It Help Me To Earn Money? 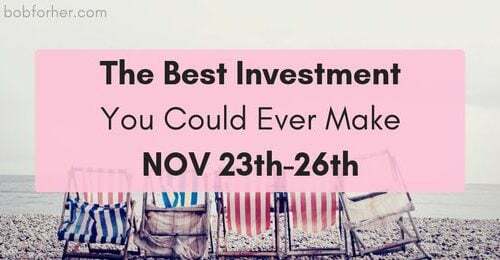 Wealthy Affiliate Black Friday 2018: Change Your Future for only $0.82/DAY!